The Dirt Track at Charlotte will double the amount of competition and entertainment coming to Charlotte's world-class clay oval in May. Track officials and the World of Outlaws on Friday unveiled the Patriot Nationals, a two-day event May 24-25, featuring the stars of the World of Outlaws NOS Energy Sprint Cars headlining a Friday-Saturday smorgasbord of sprint car excitement less than 24 hours before the green flag for the 60th running of the Coca-Cola 600. Each Patriot Nationals sprint car feature pays $15,000 to win and $1,000 to start - making The Dirt Track at Charlotte the host of the richest sprint car event in the Southeast. In addition to the Patriot Nationals - which features a striking, red-white-and-blue logo saluting the U.S. Armed Forces on Memorial Day weekend - The Dirt Track, celebrating its 20th season, will again host the World of Outlaws World Finals presented by Can-Am, Nov. 7-9. "Our fans want to see more dirt track racing, and the best dirt racers compete with the World of Outlaws," said Greg Walter, the executive vice president and general manager of Charlotte Motor Speedway. "One night isn't enough, so we've partnered with the Outlaws to double the racing, expand the purse and give our fans what they want to see — the best wheel-to-wheel, breathtaking competition on dirt. Additionally, with the Patriot Nationals coming just before the Coca-Cola 600 during Memorial Day weekend, there's no better time to salute our military heroes at America's Home for Racing." One of the Outlaws' most popular drivers is all-in on the Patriot Nationals. "I'm glad the Dirt Track at Charlotte is moving to a two-day show in May," said Kasey Kahne, the owner-driver of Outlaw title-winning Kasey Kahne Racing and the No. 9 Wicked Energy Gum car. "Making the Patriot Nationals a two-day race gives us an extra day to attract sponsors, meet our fans and bring home a trophy from one of my favorite dirt tracks. It also gives NASCAR fans in town for the 600 an opportunity to catch a dirt race." "The World of Outlaws NOS Energy Drink Sprint Car Series couldn't be more thrilled to work with The Dirt Track at Charlotte to make the Patriot Nationals come to fruition," World of Outlaws COO Tom Deery said. 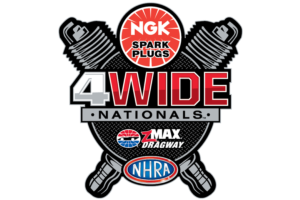 "With the increased purse for both nights, the Patriot Nationals will be an amazing event for the fans and drivers during a huge weekend of racing in Charlotte."